Good news! Amazon is now offering the Aerb D8 Pro Wireless Keyboard for $22.99. When you input Coupon code “T4ZAA6FL”, the price cuts it to $14.94. With free shipping for Prime members. 【Large 4.4-inch touchpad】Highly sensitive smart touchpad made of non irritable materials. Soft touch experience with smooth scrolling. 【Familiar Key Layout】Traditional QWERTY layout. 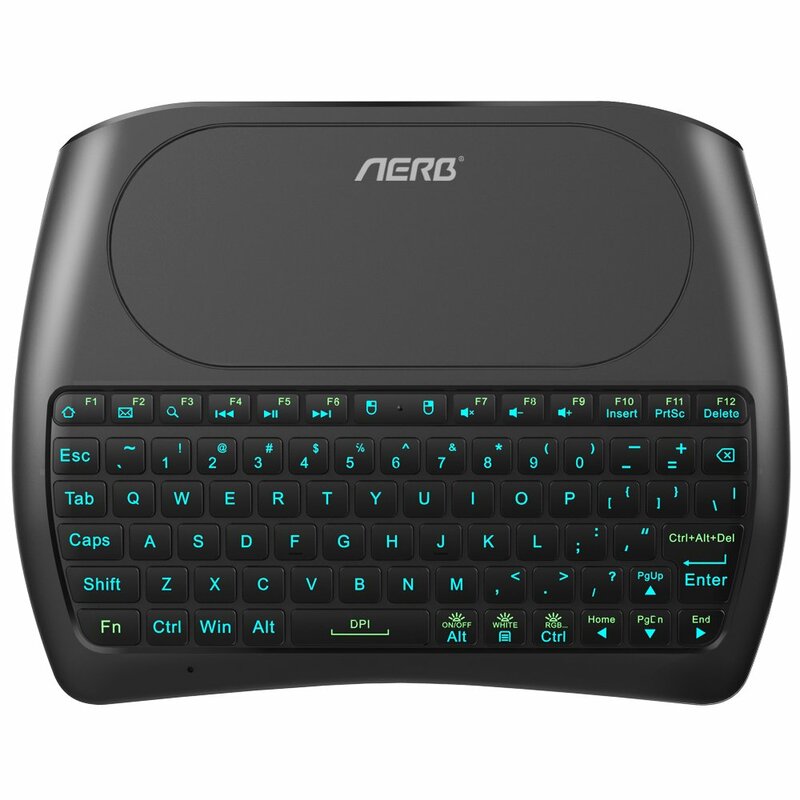 The same with a conventional keyboard so no learning curve. 【3 in 1 MULTIFUNCTION】Wireless Keyboard + Mouse + Touchpad, RF 2.4G wireless connection, anti-slip curve on the back. Up to 10m operating distance. 【Cool and easy to use】RGB Backlit, 7 lighting modes, 3 levels of LED brightness. Plug and play, no need to install software. Automatic sleep mode after 3 minutes in-activity. 【Perfect Service Guarantee】Within 30 days for a hassle-free full refund. Six-month warranty with AERB products.